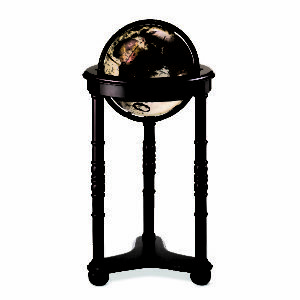 The illuminated Lancaster chair-side floor globe rests on a dark cherry-finish stand with carved accents. 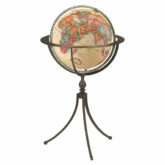 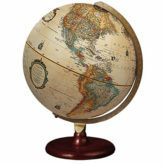 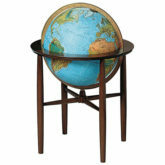 Traditional 12″ antique-ocean globe ball. Metal die-cast meridian.